Perhaps you had guessed already that there would be a prime number of puzzles. Here's the 17th and final puzzle before the metapuzzle. Each of the clues below defines a 5-letter word. Fit the words into the boxes so that they overlap, as shown by the green lines below each row of boxes, with the four lines in alphabetical order by the first letter of the line. Then read down the circled letters to get the final answer. As mentioned earlier, the MIT Mystery Hunt was this weekend. We created a special puzzle to hand out at the event wrapup. Here it is. Enjoy! Also, Bruce Leban has written up an interesting story about one of his puzzles that was shown in the campaign video (includes a link to the full puzzle). Neither of these puzzles are part of the mini puzzlehunt. When we release the Puzzazz app on other platforms, we'll be hiding puzzles in their icons too. Different ones. Before this campaign, 2013 was going to be a great year of Puzzazz products. Thanks to you, it will be even better. With less than 48 hours to go, we're providing hints to everything we think people are having trouble with. If you're working on the puzzle hidden in the app icon, remember that it uses one of the coding methods listed in our How to Solve Codes page. You'll get a 9-letter instruction that you combine with the instruction we gave you on your Kickstarter status page. When you send us a message, you're sending it to an auto responder that's looking for you to send us a specific message. You can have other text in the message but you need to have the specific thing you're supposed to send us. We have a third hint to the cryptic puzzle, in addition to the two we made available in the last update. You can also see the list of letters to anagram. In the Song puzzle, you are looking for rhyming words. As the instructions say, these words are hidden inside the agency acronyms. In the TomTom puzzle, the upper left corner number is a 5 and the upper right corner number is a 2. In the Names puzzle, you should get 28 digits from the clues. 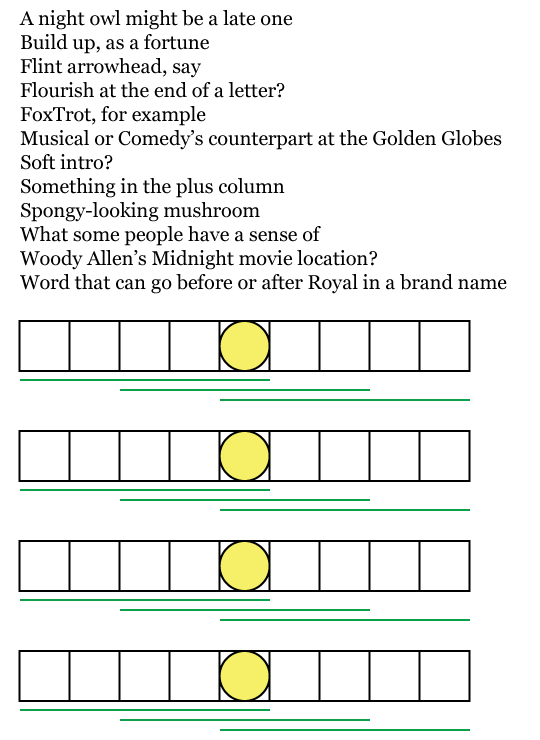 There are 28 paragraphs in the puzzle, not counting the introduction, corresponding to 28 photos in the Video puzzle. You're going to use the letters in order to make a 4-word phrase. No typos or style errors are relevant. This isn't an actual hint because you don't need them, but a couple of hyperlinks were inadvertently left out of the puzzle. Neil Patrick Harris is @ActuallyNPH on Twitter, and, while we're at it, we highly recommend Dr. Horrible's Sing-Along Blog; John Langdon's web site is johnlangdon.net; Proffer Productions web site is profferproductions.com. We designed the Puzzles puzzle to to be solvable with a subset of the letters. If you have any 6 of the 7 letters, there is only one possible word. If you have 5 of the 7 letters, there are very few possibilities and frequently just one. If you don't have an iOS device, we've added a way to view larger puzzle images on our home page. When you pause the rotating display a "View larger image" link will appear.